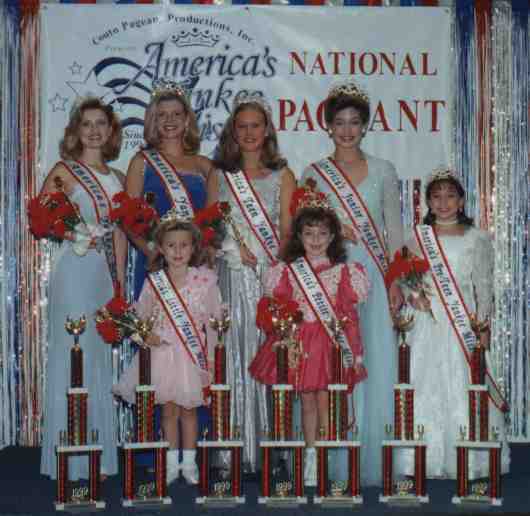 8 PAGEANT QUEENS (one in each age division) will win a beautiful custom designed crown, large trophy, satin sash with rosette, flowers, scepter, rhinestone jewelry, photo session, one 8 x 10 photo and an invitation to attend other pageants as a royal guest. Runners-up (in each age division) will win a Princess sash, trophy and gift. 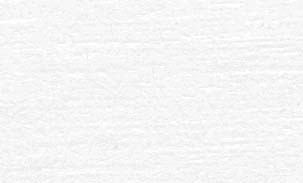 will also win a $1000.00 U.S. Savings Bond! 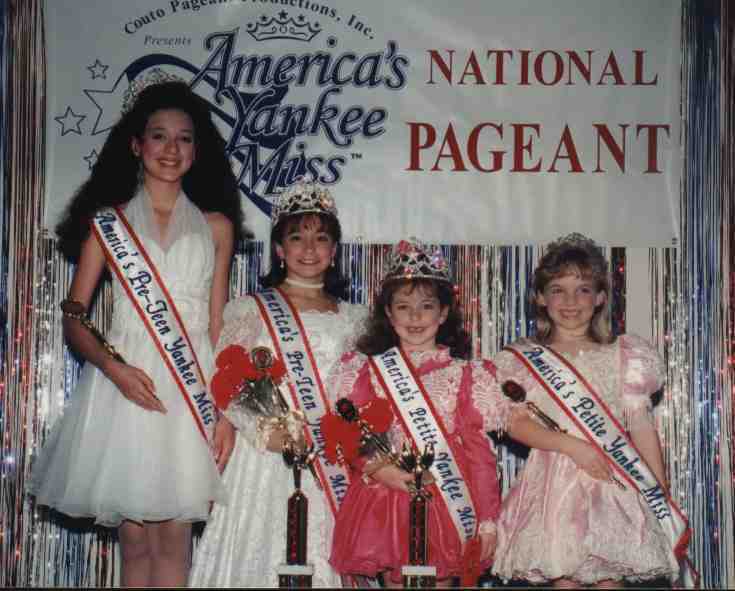 TALENT WINNERS (in each age division) will win a beautiful crown, trophy, sash and a rhinestone pin. Runners-up will receive a trophy. 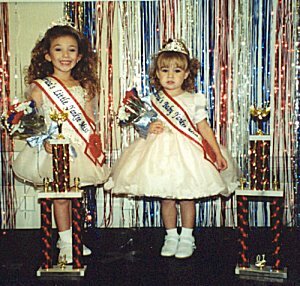 MODEL WINNERS (in each age division) will win a beautiful crown, trophy, sash and a rhinestone pin. Runners-up will receive a trophy. 3 PHOTOGENIC WINNERS (one from each show) will win a beautiful crown, trophy, sash and a rhinestone pin. Runners-up will receive a trophy. FIRST 5 APPLICATIONS RECEIVED will win a trophy and a rhinestone pin. ALL CONTESTANTS will receive a participation trophy, ribbon, and gifts.